Happy Day to you! Slightly overcast but still beautiful here:) Looks like temperature may be more tolerable at home....here's hoping! You have certainly been slammed these past few weeks! Hope you like today's card! I appreciate your stopping by!!! Excited to share more with you tomorrow! A group effort for sure! I break the dough into chunks about the size of a golf ball. Roll the ball of dough. Dip your stamp in some sugar to coat lightly. This will prevent the press from sticking to your dough. Try and line the ball of dough in the middle of the press so you get the image centered. Push evenly so your cookie is even thickness. Place on parchment paper on your cookie sheet. Bake for about 18 minutes at 325. I had fun making these with Cole and hope this inspires you to give them a try! They are fun and easy! Thanks Linda! CLICK HERE to check out this year's amazing Sale-a-bration items! I have to laugh! Cole let me know after he opened this AMAZING card from my mom that she needs to learn to speak Australian. We say "g'day mate" here, not Ahoy:) He cracks me up! We were pretty excited to get this parcel in the mail today from Gramma. I call it a parcel because it weighed about 8 pounds and had at least seven packs of dimensionals used on it:) (slight exaggeration here). Nonetheless, super excited! I can't even begin to list off the supplies used on this card as some are retired (papers and stamps) but mainly because there is such an awesome assortment! I love how my mom used the top note die to make the face and then the circle framelits from the head! Cute, eh! I think the "best" part (according to Cole!) is the treasure box! It actually holds a little candy from home in it! He squeeled when he opened it! AND he won't eat it because it's "so special". He has added it to his collection of "stuff" he carries around in his pockets daily - about 5 rocks found from various places on our adventure, coins from Japan, shells from the beach, a little rubber football dude from Santa and now this candy! So sweet! So, what do you think of Sale-a-bration!?!? I'm in love and can't wait to get an order in here in Australia! CLICK HERE to see what's available for FREE! ANYHOW, we had a down day today here so I spent some time MDSing and had a blast! This is one of the cards (yes another card!) I created! The starburst was fun to put together. There are three layers of starbursts, slightly rotated and changed colour. I dropped shadows in Pumpkin Pie and Crushed Curry to help "blend" the colours. I'm happy with the final look and apprecaite Martha's awesome inspiration! Hope you like it too!!! SALE A BRATION has started!!! CLICK HERE to check out the AMAZING products you can get for free!!!! I've missed the normalcy of life and we are just beginning to settle:) Adam heads to work today for his PD Day and I register Nathan for school this afternoon...how crazy! He is one nervous little boy but I know he'll do awesome! SO, I emailed Miss Amazing Kimberly in the wee hours last night (and she was up...no shocker!) and said enough is enough, I need back on the band wagon! So, here I am with this week's challenge....a card sketch! You know me, I struggle with the cards but I'm thrilled with the result! So rather than having a video this week, I thought I'd share with you how I used the sketch to also create a page! I promise it started out looking like the sketch! But this is the great thing about the sketch, the morph into wonderful creations you can call your own! Hope you like it! Well, I did it! I created an MDS page.....I've been missing this but thankfully I've got lots of photos to catch up on! I used Kimberly's awesome sketch from TWO Monday's ago and did this page. I'm happy with how it turned out! I used only ONE kit....Finest Simplicity! 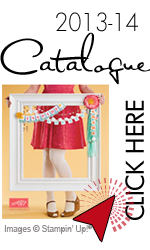 It's a fun one you should really check out....the frames, DSP, embellishments (not the push pin but everything else:), stamps and so much more! LOVE!!! Well, I'm off to update my travel blog and put my munchkin to bed. Cole had a BIG fall tonight so I know who I'll be snuggling with! Well, as I sit here in the hostel in Tokyo waiting for my laundry I found a few photos that may amuse you on my blog for the next few days until I get some ink on my fingers again! I needed some thank you cards quickly before we left and I wanted to use some of my new toys so this is what I came up with. I used the notecards so I'd have the envelopes, a variety of Washi tape and my favourite stamp set with matching framelits from the Occasions catalogue! YUMMY!!! Love it! As you can see in the background I made a few varieties using the other greetings and they all came together in a matter of minutes! Perfect! is there such a thing? Well, I can't believe I didn't share this picture earlier, but this is Mark's birthday card from my mom! Isn't it AMAZING!!!! All of the details....and I mean ALL are made using punches and paper....the Steelers logo, the cleats...everything! The card is an easle one. Isn't it AWESOME!!!! Well, I hope your day is full of fun and maybe warmth....it's CHILLY here!!!! Don't forget to check out today's downloads! I love Kimberly's poetic use of photos! Not sure if you follow her on Facebook but she can never just take a picture! They are beautiful and fun! So, in speaking with her last week we got chatting about a pretty fun challenge....Gratitude 360. Pretty simple concept - take a picture a day of something you are grateful for. And in today's day and age with photos at our beck and call, we can do this....right? Well, I said yes and we thought you would love this challenge as well! So for my MDS creation today, I thought I'd show you how I am going to simply keep track of my photos and at the end of the year I'll put them into a book. It'll be a fun way to not only document my year but also to really demonstrate and at times remind me how fortunate I am. I hope you like this challenge as much as I think I will. The only "trick" I did on this page was create the look of the Bokeh effect (the dots on the page created by light). I used the dots from Big Bold Birthday, altered the sizes, coloured them in white and then changed the opacity to about 20%. Easy peasy and a fun effect! Hope you like it! Enjoy your night! Don't forget to check out Kimberly's page and our Facebook group! Sorry I don't have a project to share with you today, but I thought I would share with you an AMAZING experience! We went yurting with friends, Emma and Mark this weekend! Yurting (might not be a verb but I think it should be!) is camping in a thick canvas tent that is a few feet off the ground! We had PERFECT temperatures, fresh beautiful snow and an amazing time! My only regret was not staying longer! We could have easily filled another 24 hours with fun outdoor activities, food and camp fires! LOVED it! I will be honest, my friends that came along thought I was a little crazy when I suggested it but we all had a blast! If you ever have the opportunity to winter camp I highly recommend it! Have a wonderful day! I'm a happy girl! My report cards are written! I just have to edit them but this is HUGE and I still have a few days left of the holidays! I know, I know, you must think I'm crazy, but it is truly too early to start on next year's cards??? I LOVE this card my mom made and think it'd be a fun one to mass produce.....I could prep the pieces and assemble on our LONG flight....right? We shall see! Thanks mom for the GREAT card! AND guess what...today' the new Occasions catalogue goes LIVE! You'll LOVE it!!!! Check out my online store to see what's trendy and new! My dear friend Lori made me this card and I thought it was perfect for today.....I love hot air balloons. I'm not sure how old my most amazing Grandma was when she finally got to experience a hot air balloon ride (in her 80s) and it simply inspired me to always try something new and take a risk. I'm thinking that's what this year will hold for me and I'll hold the image of not only the hot air balloon, but of course that of my Grandma close to my heart this next year....I have to try everything and not be afraid....right???? I love the colours that Lori chose on this card and how muted the images are. It's a beautiful creation, and I thank you:) Thank YOU for stopping by today....hopefully you are motivated and inspired!